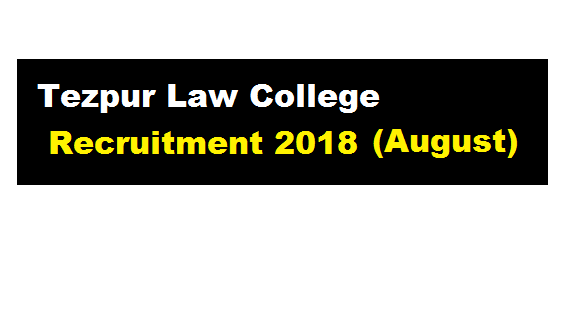 Tezpur Law College Recruitment 2018 August : Accountant Posts :- Tezpur Law College has recently published a recruitment notification in the month of August 2018. According to the Tezpur Law College Recruitment 2018 , the college is looking for eligible candidates for filling up Accountant post. The details about this latest vacancy can be found below. In this section, we will discuss in detail about Recruitment of Accountant post under Tezpur Law College Recruitment 2018 August with all the details and requirement. Pay: Selected candidate would be paid a lump-sum of Rs. 15,000/- only per month for the time being.